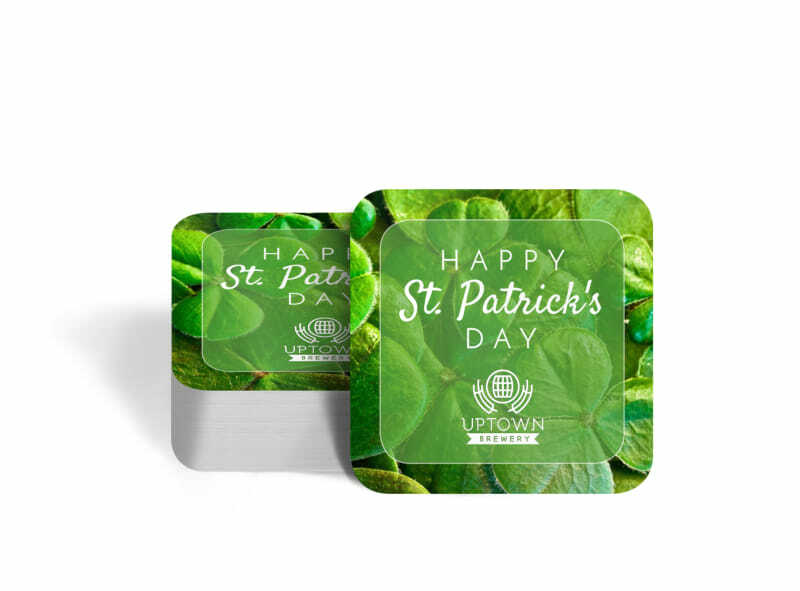 Customize our Classic Saint Patrick's Day Coaster Template and more! 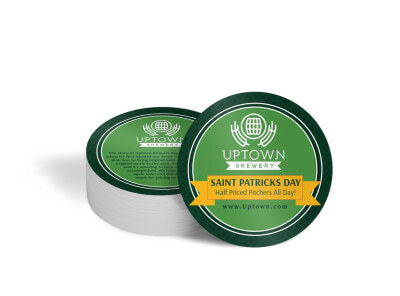 Put the luck of the Irish to work for your marketing message with this custom coaster that celebrates Saint Paddy’s Day big time. 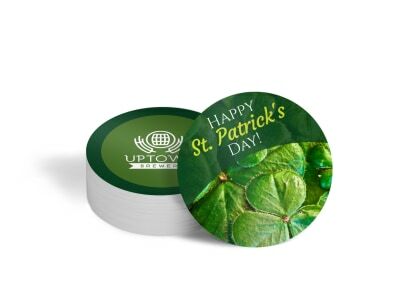 Choose a green or gold color theme, insert celebratory text, and add a festive image of a pot o’ gold, a four leaf clover or shamrock, or a leprechaun at the end of a rainbow.